Diageo India brings Fashion Cocktails Inspired by the Runway! Now bring the flavour of the runway at your home. This party season, Diageo India brings to the forefront, glamourous and chic cocktail recipes that can be a part of the bar menu. 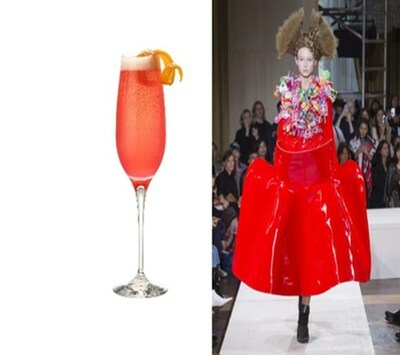 Inspired by showstopper looks from fashion weeks around the globe such as Milan, New York and Paris, these cocktails will add colour, glamour and also help impress the guests. Method: Shake the 50ml Tanqueray No.10 along with 20ml orange liqueur and 25ml lemon juice. Add 15ml of sugar syrup and half an egg white. Garnish with a lemon twist. Method: Half fill a cocktail shaker with ice. 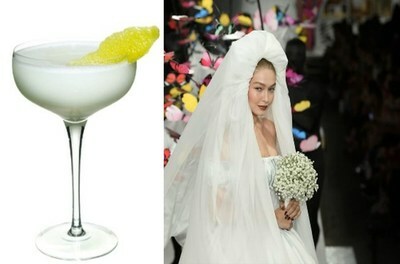 Add the ingredients, shake vigorously and double strain into a chilled martini glass. Method: Shake 45ml Strawberry infused Tanqueray No.10 along with 20ml bianco vermouth and 30ml fresh mosambi juice. Add 10ml of honey water and serve in a in a chilled goblet with de-hydrated strawberries. Diageo is a global leader in beverage alcohol with an outstanding collection of brands including Johnnie Walker, Crown Royal, J&B, Buchanan's and Windsor whiskies, Smirnoff and Ciroc vodkas, Captain Morgan, Baileys, Don Julio, Tanqueray and Guinness. Diageo is listed on both the London Stock Exchange (LSE) and the New York Stock Exchange (DEO) and our products are sold in more than 180 countries around the world. For more information about Diageo, our people, our brands and performance, visit us at http://www.diageo.com . Visit Diageo's global responsible drinking resource, http://www.DRINKIQ.com for information, initiatives, and ways to share best practice.